"This is a photograph of the Ruby Street of my young days, and has already brought back a flood of memories. It's the site I saw from my bedroom window for the first 12 years of my life...... a great photograph". Ruby Street taken from Dalmarnock Road This is one of my favourite photographs ! 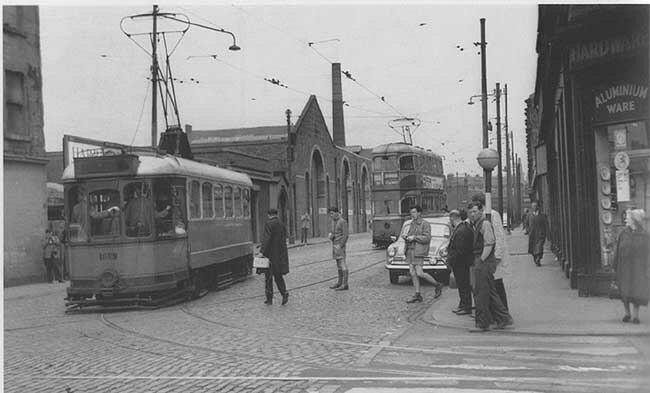 See the tramcar depot over on the left. The steamie was across from it. 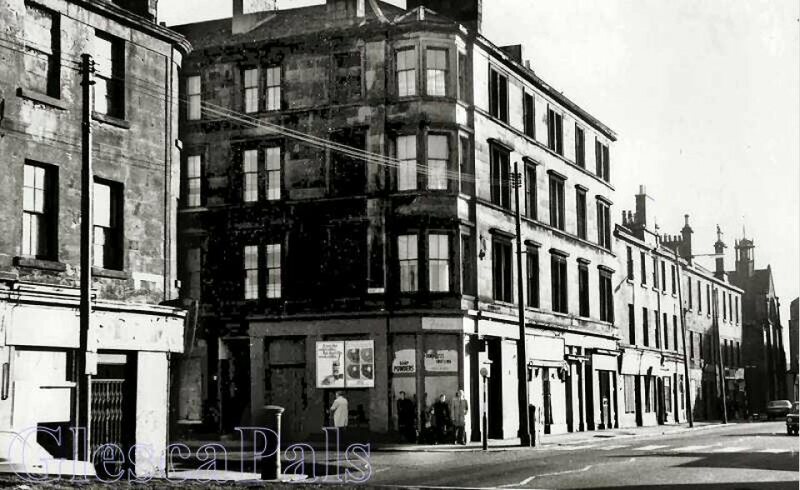 The corner hardware shop was owned by Mr.Crann, his son John Crann, who was a pupil at Dalmarnock Primary, was in the year below me and was the Dux of the school in 1966. The zebra crossing took you over to Dale Street. 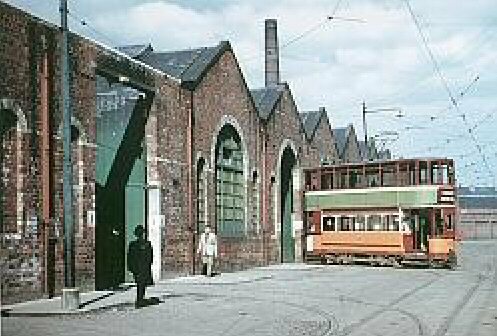 The low building halfway up the street was 'the steamie' which was opposite the tram depot. My mammy did her big washings there and there was also an area of cubicles which housed rows of baths. As the houses in this area only had outside or inside toilets but no baths, this was where we went to get a bath! Most of my time at Dalmarnock was during the war I played football for the school under Mr French and always remember marching into class four abreast to a teacher playing a marching tune on the piano at the top of the stairs. enjoyed my time at Dalmarnock school." "I'm going to raid everyones old photos, by the way, that photo of Dalmarnock Road & Ruby St, the old metropolitian car across from the tram was my stepdads . Our family had the four houses above Marrownelly,s Cafe just on the left of the car. I've never seen this photo before"
"...brings back a lot of memories. I was born at 48 Ruby Street and lived at 70 Ruby Street until I was married in 1951. then I lived at 11 Cornfield Street until I went to the USA in 1962. I returned to Glasgow in 1988. Thanks again for great site, enjoying memory lane. and the message board." away this time with the photograph of Ruby St., it brought back so many memories. I left there 1952, age 6 and don't really remember too much except we lived in No. 48, top flat and down stairs neighbours were Mary and Tom (cannot remember surname, could have been McKay). I called them Mamie and wee Daddy as they were little people and I loved them dearly. My parents, Richard and Betty White had a business and this couple looked after me from time to time. 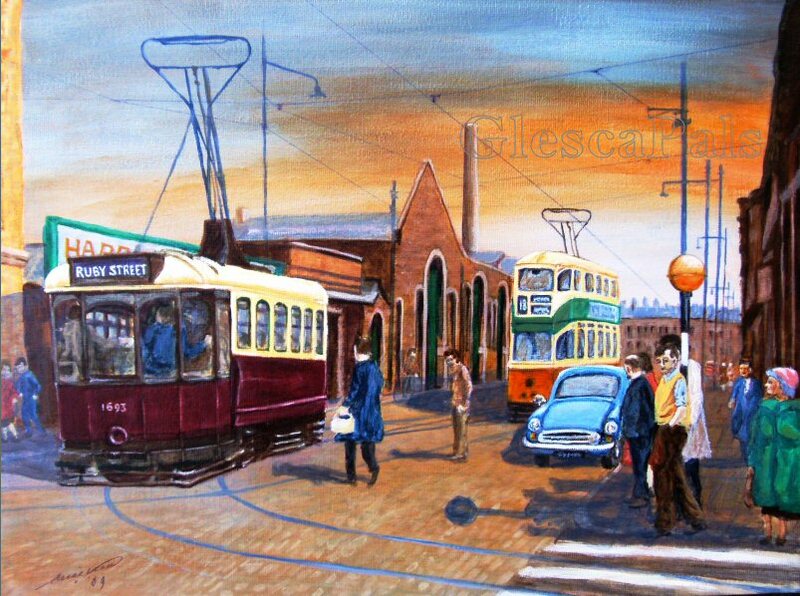 My parents told me they used to put me in my pram across the road right outside the office of the tram depot where they could watch me and the workers all knew me. This is not something that could be done today but back then I was very safe. I was wondering if anyone can remember me, my parents or Mary and Tommy?" Ruby Street at Dalmarnock Road . 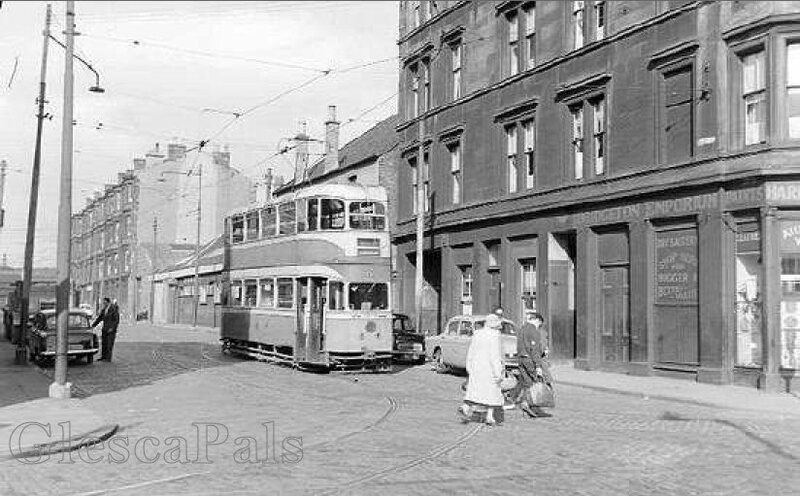 Ruby Street taken from roughly same spot as the old photograph above.........Tenements, Tramcar depot, the steamie all gone. 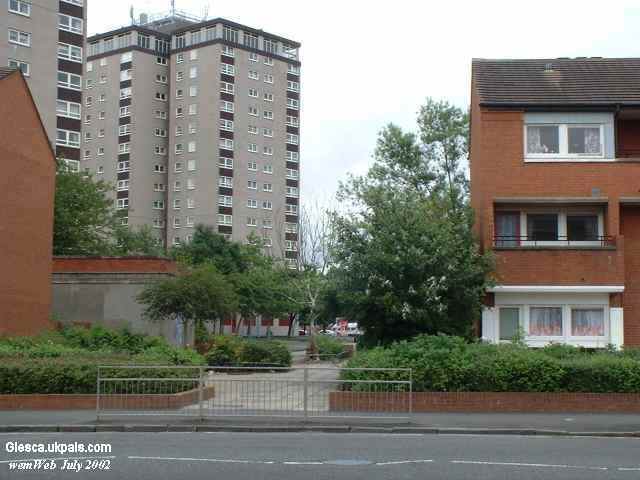 High rise flats now dominate and Ruby Street at this junction is now just a pathway.